Palo Alto University (CA, USA) partners with several organizations worldwide to improve mental health training, accessibility of services, and strengthen these organizations. TPO Cambodia and Palo Alto University have been building a long-term partnership thanks to which we can benefit from the support, expertise and know-how of Palo Alto University (PAU). TPO Cambodia has online access to PAU’s library which contains a wealth of information and resources related to our work. PAU is providing one TPO staff member with a full fellowship covering full tuition for PAU’s online Masters Degree of Business Psychology. This new degree will be accredited in 2016. Having a staff member with this Masters degree will provide TPO with new and specialized expertise which both our clients and TPO itself as an organization benefit from. PAU has identified students who would like to carry out joint research and co-publish research papers with your TPO Cambodia. These mutual research projects are to the benefit of your TPO Cambodia whilst also providing PAU students with valuable research opportunities. Also, Dr Edward Palmer is helping to strenghten TPO Cambodia’s capacity to interprete data and write up research results, through his work with us in Phnom Penh. Depending on our needs, PAU also can provide TPO Cambodia with coaching or advice with aspects of business planning or organization development. 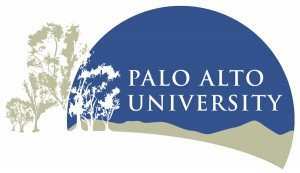 To learn more about our supporter Palo Alto University, see http://www.paloaltou.edu/. If you want to know more about our partnership with Palo Alto, please email TPO on admin@tpocambodia.org.